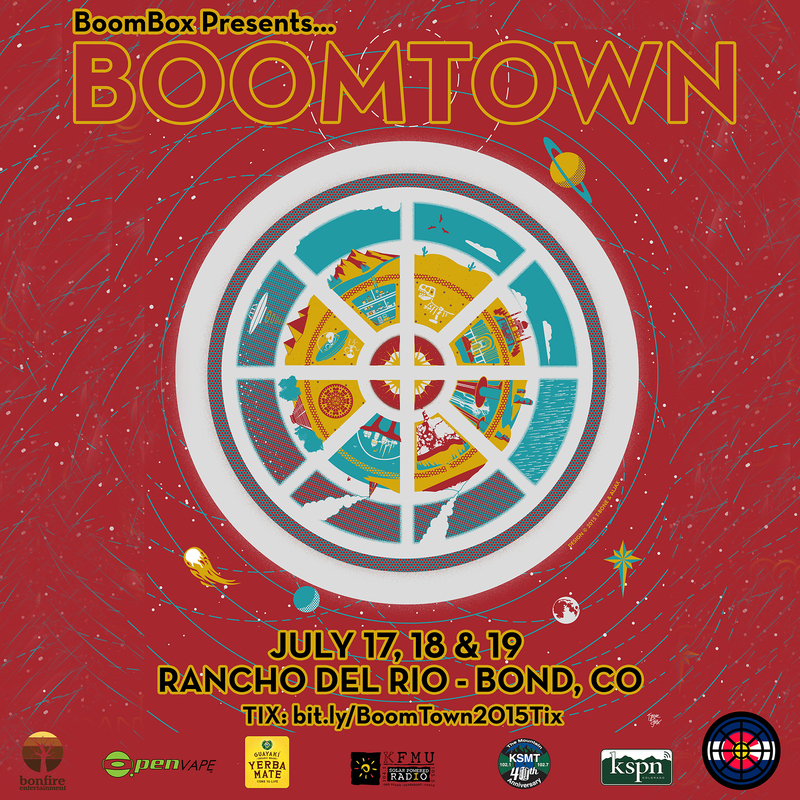 Earlybird passes for BOOMTOWN at Rancho Del Rio in Bond, Colorado, July 17-19 are now ON-SALE! The festival will feature 3 NIGHTS of BoomBox this year plus supporting artists to be announced soon! This will be the 5th annual BoomTown gathering on the banks of the Colorado River, and our 2nd year at the beautiful Rancho Del Rio (just 5 miles up river from State Bridge). This site allows for all camping, parking, river activities, music and yoga to take place in one location, no shuttles!